Mr. Gabriel is responsible for the origination, analysis, execution and monitoring of 54 Madison Capital investments. Previously, he was a Vice President at Cain Hoy Enterprises, a private investment company, where he worked on real estate development investments in North America. Prior to Cain Hoy, he was a Vice President at Guggenheim Partners, LLC (“Guggenheim”) where he focused on identifying and acquiring infrastructure assets. 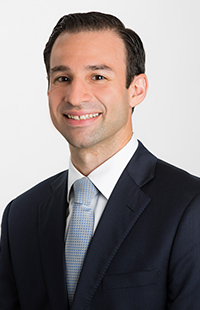 Mr. Gabriel joined Guggenheim from RREEF Infrastructure, the infrastructure investing business of Deutsche Asset Management with approximately $15.0 billion in assets under management, where he was responsible for deal execution, origination and involved in global fundraising. Mr. Gabriel previously held financing and advisory roles at Barclays Capital and WestLB where he completed over $3.5 billion of financing transactions with particular focus on the power generation sector. He began his career with JPMorgan Chase where he worked in the structured products group. Mr. Gabriel graduated from the Leonard N. Stern School of Business at New York University with a B.S in Finance.